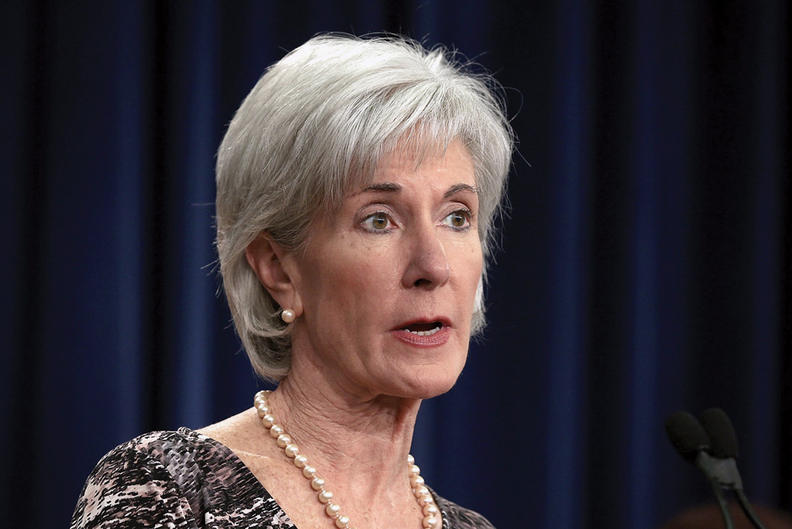 While individual market rates for exchange plans for state-run exchanges have come in lower than comparable 2013 products, Republicans have asked HHS Secretary Kathleen Sebelius why no rate data were available from states with federally run exchanges. While state-run health insurance exchanges have reported that premiums for 2014 health plans generally will be lower than for comparable 2013 products, congressional Republicans and others have questioned whether that will hold true for exchanges in the 35 states where the federal government will operate them. But some experts say they expect the same trend for the so-called federally facilitated exchanges in many states. So far, only two states with federally run exchanges, Ohio and Virginia, have released proposed exchange rates. The states with federally facilitated exchanges have until July 31 to submit their data to HHS, which will either accept or reject those rates. HHS has a statutory deadline of Sept. 4 to notify insurers of its decision. In Ohio and Virginia, the average proposed monthly premiums for a silver-tier plan for a nonsmoking 40-year-old in the exchange are $324 and $299, respectively, according to research conducted by Avalere based on state plan filings. In comparison, the monthly rates for similar exchange plans in California and Rhode Island, which have state-run exchanges, are $376 and $290, respectively. Earlier this month, President Barack Obama touted an HHS report that showed approved individual market rates for exchange plans in 10 states and the District of Columbia with state-run exchanges on average came in 18% lower than comparable, currently available plans. Republican lawmakers then wrote to HHS Secretary Kathleen Sebelius asking why no rate data were available from the states with federally run exchanges. There is no guarantee that exchange plan rates will be lower than those for currently available plans in the states with federally run exchanges, said Rachel Dolan, a policy specialist on healthcare reform at the National Academy for State Health Policy. Rates will depend on a number of factors, including whether the state previously enacted insurance market reforms, such as community rating. In such states, premiums are unlikely to rise significantly because insurers already had to sell coverage to subscribers with pre-existing conditions at regulated rates. Other factors include the number of competing health plans in each state, which varies significantly. That means some states may have less competitive rates. Earlier this month, Humana came to the rescue in Mississippi, announcing it will offer exchange plans in 36 counties where no other insurer had been willing to participate. Several national insurers declined to comment on their rate discussions with HHS and state officials. Brian Cook, an HHS spokesman, declined to comment on when the agency would release data on approved rates for the federally run exchanges. He said HHS is working on a response to last week's letter from Republican lawmakers seeking information on the rates. Leigh McGivern, a spokeswoman for the not-for-profit CoOportunity Health, which has won approval to offer consumer-governed co-op plans in Iowa and Nebraska, said HHS has given instructions to insurers not to announce their approved rates before Sept. 4. Unlike in some states with state-run exchanges, such as California and Oregon, HHS has said it will not actively negotiate rates with insurers. Pearson doesn't see this reducing the likelihood of competitive rates on the federally run exchanges. The important dynamic, she said, is that exchange plans are competing on price, and consumers can directly compare those prices on an apples-to-apples basis. That will drive down premiums, she predicted. “Carriers in this market understand they need to be one of the lower-cost plans,” she said. While several major commercial insurers have said they will limit their participation in the exchanges to selected states, plan competition on the exchanges is expected to get a boost when the federal Office of Personnel Management announces the selection of multistate plans that will be available on the exchanges in some states. That announcement is expected shortly. There are broader questions about whether the feds will be ready to launch the exchanges in all 35 states, given that the Obama administration did not expect so many states to turn that responsibility over to HHS. In June, a Government Accountability Office report found that while HHS has been making progress, “much remains to be accomplished within a relatively short period of time.” The report also said there is a potential for challenges going forward. While interim deadlines HHS has missed in the past may not have a serious impact going forward, the GAO warned that further missed deadlines closer to enrollment could have a significant effect.